Recap of MS-paint and MS-word. Please confirm your participation and please note the change in timing. Pudiyathor – a new chapter begins. Saturday afternoon saw 10 volunteers of Deepam head to Pudiyathor in Besant Nagar. We went there prepared for an ice-breaker to interact with the children. We didn’t need that, they were the most lively (and extremely noisy) group who were eager to climb on us to catch our attention. Pudiyathor is a community center for the children who belong to the adjoining slum. About 30-40 kids of all age groups from toddlers to college kids frequent the center and use this facility whether it be hanging out on weekends for different classes/activities or group studies. 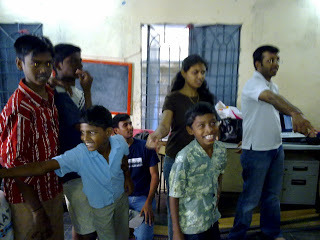 We were introduced to Pudiyathor by Manickam (a senior of KK’s from BITS). Maniks and his father run the show at this centre providing the children with whatever is necessary. They are doing an awesome job for these children by providing them a place to learn new and different things, a place to be themselves, a place to dream and see a wonderful world beyond. 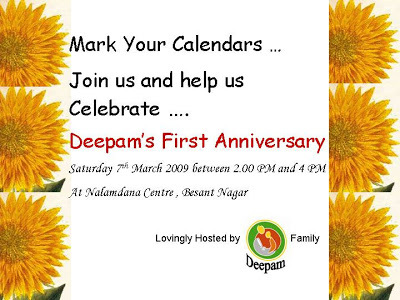 The entire team at Deepam is extremely excited and looking forward to being a part of Pudiyathor. 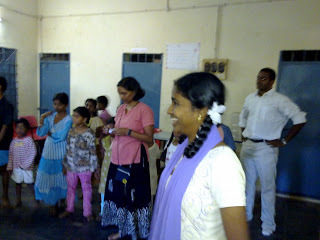 We played a few games with the children with the volunteers enthusiastically joining in. We did the good cop-bad cop routine with Paras and Archana being bad cops as they took on the job of shushing the kids to control the noise level. Balaji and Meera were the good cops who were breaking all the ground rules set by those two. Vijay got the most cheers. All he had to do was just introduce himself! That was because of his namesake in the tamil film industry. Vinay, Swetha and Pramodh completed the set of 10. As always, the enthusiasm and eagerness of the children towards computers was quite visible in the way they crowded around Paras’s laptop. 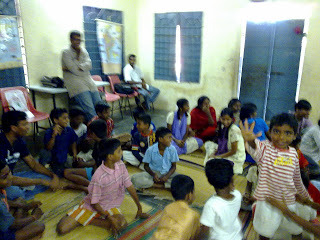 For the next 5 months, Sundays 2-4pm at Pudiyathor is open to everyone to volunteer in teaching these children the basics of computers, general awareness and english knowledge.